EA SPORTS has revealed the Madden NFL 25 player ratings for defense today. The top five defensive players at each position are below. Click here to see the full list of ratings for every player in Madden NFL 25. Fans can also check out the offensive ratings roundup. The reigning NFL Defensive Player of the Year was a no-brainer for a 99 rating after racking up 20.5 sacks, four forced fumbles and perhaps most impressive of all, 16 passes defended last season. Watt brings 97 Strength, 99 Power Moves and 98 Block Shedding to the table. Von Miller made his second consecutive Pro Bowl last season after finishing the year with 18.5 sacks and fix forced fumbles. His 88 Speed, 99 Finesse Moves, and 99 Pursuit Ratings make him nearly unstoppable around the edge. New uniform, same shutdown corner. Despite injury, Darrelle Revis is still the top-ranking DB in Madden NFL 25 thanks in part to his 93 Speed, 98 Man Coverage and 94 Zone Coverage. For a complete list of Madden player ratings, click here. EA Sports today had the first post-release patch for NCAA Football 14 go live on the Xbox 360 and PS3. The list of fixes provided by the company is not expansive – there was more done than just what is mentioned here – but these are the primary issues addressed. Addressed an issue where postplay vignettes did not trigger after touchdowns. PS3 players will notice a much quicker overall experience with reduced hitches. ♦Please note that individual player OVR ratings have not changed at all. 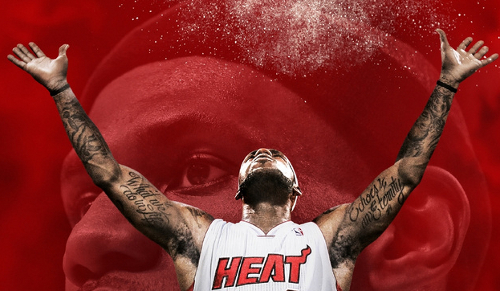 2K Sports has released the full features list for NBA 2K14 specific to the Xbox 360 and PS3. The company has yet to address next-gen in any fashion but did confirm today that Crew mode won’t be available on the Xbox One or PS4. Click here to see the full list of ratings for every offensive player in the NFL. Madden NFL 25 ratings reveals are now underway. Check out the Science of Quarterback Ratings blog, as well as the complete reveal of offensive ratings. Whether it’s Calvin Johnson out-leaping two defenders in the end zone or Rob Gronkowski making a diving catch over the middle, wide receivers and tight ends provide big plays for offenses. As many suspected over recent days Crew mode is back with NBA 2K14. The news first came through discovery of the achievements for 2K14 – the list is almost identical to 2K13 except for one relating to Crew and two for the Path to Greatness mode – and 2K Sports has since confirmed its return.